Senior figures from the UK tea industry recently met with SPERI Director Professor Genevieve LeBaron at a private House of Lords roundtable event to discuss the findings of her Global Business of Forced Labour project. 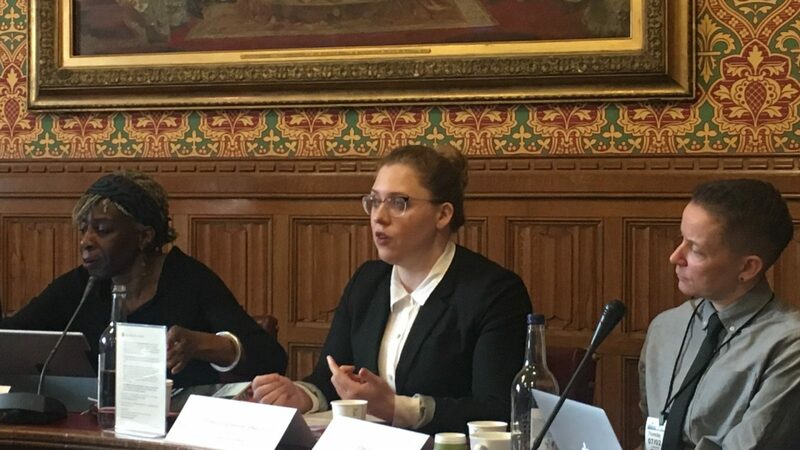 Professor LeBaron presented her research findings at the session on Thursday, February 7, which was hosted by Baroness Young of Hornsey who is leading parliamentary work in this area. The discussion focused on how to prevent and address forced labour in tea supply chains and how industry could move beyond social auditing and certification. Professor LeBaron’s research included extensive fieldwork on tea plantations in Assam and Kerala where violation of major auditing and certification scheme standards were found to be widespread. The Global Business of Forced Labour project was a major two-year international research study funded by the UK Economic and Social Research Council (ESRC) and led by Professor LeBaron. The project investigated forced labour in global agricultural supply chains, focusing on case studies of cocoa and tea supply chains. The team of researchers at Sheffield uncovered patterns of forced labour in tea supply chains and the investigated the effectiveness of key business and government initiatives to combat it. The Final Report and policy recommendations from the Global Business of Forced Labour project are available here.